How Much Does Style Matter? Infeno, just hit with a 4 million hardcover first printing. So yeah, the kid may make some dough. The critics said his writing was clumsy, ungrammatical, repetitive and repetitive…They said his prose was swamped in a sea of mixed metaphors. So here is today’s Reader Friday question: How much does style matter? Dan Brown weaves the kind of story that people absolutely lap up on the beach or at Starbucks, or while listening to their iPods as they jog. Sure, his style is not going to win any awards, but so what? Or is there a what to consider? This entry was posted in Dan Brown, Reader Friday by Joe Moore. Bookmark the permalink. I think readers care most about story, voice, and character. Style is actually not a huge deal when those other elements are right. I’m in England at the moment and there was a write-up on Mr. Dan Brown and his new book in a local paper a couple of days ago that I found very interesting. The reporter noted that Mr. Brown’s facts were, perhaps, not as well researched as they should have been BUT that didn’t deter this reporter from enjoying the book. Said he couldn’t put it down. Couldn’t stop turning the pages. He sounded surprised at himself. The reporter (wish I could remember his name, or at least which paper it was in…Mother buys a lot of papers…), also thought Mr. Brown was obviously hoping for a movie contract. What matters most is readers enjoying the story. Whatever a writer does to write an unputdownable book, that IS their style. If we made a list of style elements, I believe that a compelling story is way ahead of whatever is in second place. I think that style matters to a certain type of reader, one perhaps who enjoys the magic that can be performed with language on the printed (or electronic) page. Certainly, however, there are many — arguably a majority — of readers for whom the story, and the escape it brings, is all. James Patterson has unapologetically stated that his job as a writer is to advance the story and keep it moving at all times. This, he does, and quite well. Obviously, there is room for both types of readers, and for other types as well. I think what you say makes a lot of sense. I’m that “certain type of reader” you have in mind. This explains why I never got beyond the second page of Brown’s book. It also explains why I have no problem being in the minority. As for Patterson, he has effectively figured out how to meet the needs of people who alternate reading with texting, jogging all the while as they run with the dog and push a stroller, I-tunes ear buds firmly in place. I was very critical of Dan Brown until I began attempting to be a writer. I actually put down his second book unfinished because the writing was so poor. I thought it read like it had been written by a talented high-schooler. I thougt that I could easily do better. That was before the hours I’ve spent at the keyboard trying to get one decent paragraph written… So, I have been forced to reevaluate Mr. Brown, although I will personally never be a fan. I agree with the general consensus that style doesn’t matter as much as telling a gripping story with interesting characters. I think part of the reason why his books are so popular is because his style is nonexistent. I think it makes it easier for the average person to read and enjoy his book. That said, even though he’s not going to win any style awards, he does write well enough that we understand what he’s trying to say. If you read any slush pile, you’ll realize that it still takes some amount of craft to be able to do that. It’s whatever causes that magic spark to ignite in the reader’s head. After that, pretty much everything else is forgiven, except by literary critics. As said by many above, I think it depends on the readers and the reading location. On beach vacation, I want 2 or 3 books I can breeze through, but other times I want something more challenging. I’m a mystery fan, but not the biggest fan of James Patterson because I find the mysteries almost too easy to solve (I think this comes from reading way too many mysteries! Ha). His style isn’t my favorite, it’s written for the masses, and because of this it tops the bestsellers lists, which works (very well) for him. You know when style matters to me? When it gets in the way. I love all kinds of books from the page-candy of Dan Brown to literary stuff. What I hate, however, is when a writer can’t get out of the way of the story, when he or she calls attention to themselves with style gymnastics. I started a crime novel recently by a well-respected author who is exceedingly “well published.” (ie the prestigious publisher is behind the novel in a major financial way). I couldn’t get past the first chapter because the author was so hellbent on dazzling me with “style.” Now I had read this author’s previous 2 books and really liked them — they were clean, passionate and evocative. But this one was all filigree and nonsense. I can only guess that the writer was trying to be “literary.” It was a hot mess. I think you’re absolutely right about writing that “gets in the way” of the story. This happens when the writing draws attention to itself, either because it’s so awful, or because the writer is showing off. Both are off-putting. I think style matters very much, but I think the kind of academic, snobby style that English departments and hipper-than-thou critics love doesn’t matter much at all in terms of popular success. Vincent, I agree that errors and laziness make you want to throw the book away. I read “Da Vinci Code” while in Paris and Brown’s errors about the city were driving me nuts! But I still plowed through the thing like a giant bag of gummy bears. Interesting to bring up Style again so soon after the talk about “He said/ She Cried/ We Wailed and Gnashed our Teeth”. My thought is that the most important thing is that your style matches what your readers like to read. If you’re writing for a mainstream audience, then what makes for an “Enjoyable read” will vary from a literary critic. Of course to a new author, the first reader that they have to write for is the agent that will carry the manuscript on to the publisher. Which also creates its own curiosities. Of course I do think that a little bit of, you know, following the danged rules (ie not being ungrammatical) is kinda important…. but that’s me. Yeah, apparently because I’m an American, I can’t tell the difference between a cat meme and a Monet without some critic pointing out the difference. The degree to which your style matters is inversely proportional to the degree to which people enjoy your storytelling. If you tell stories in such a way that people don’t care about style, they just want to find out what happens next, your style doesn’t really matter. If your style isn’t important enough to talk about because your stories aren’t either? Then your style needs some serious improvement. I write action packed stories, guns, violence, car chases, etc. Adrenaline fueled pace is the primary substance I prefer in the vast majority of my work. But at times I also like to wax poetic or descriptive of a lovely scene, especially my gorgeous Alaska and there like to have a little more stylish flair in those scenes. The trick is to be able to paint the stylized image without leaving the context of the books primary viewpoint or the POV’s personal understanding of the world. Cheap and easy action without depth of imagery on the other hand…not makin’ it for me. As for what I read, for both narration or pleasure, I do like good writing that puts me in the scene. A couple years ago I narrated the audiobook of Nadeem Aslam’s The Wasted Vigil, a highly stylized vision of life in Afghanistan through the eyes of five different characters that interact. The book was probably one of the headiest books I’ve read and while there was a good bit of action, it was by no means a thriller. It was an idiotropic-mind-painting using the English language as its pallet. Blew me away. Story matters first. You can have all the flowery language and perfect grammar you want, but if your story is dull no one is going to read it. I think people read his books because they’re easy and quick to read and it gives them a thrill, like an action movie. Both have little substance. That being said, poor writing and poorer research doesn’t matter to some but does to others (including me) and I will never read a Dan Brown book again. I liked the comments by P.J. (as always), Jim and Joe. Discussions such as this, imo, are always based in semantics and definition. What each individual identifies as style or craft varies. Likewise the definition of what constitutes “good” writing varies. If one’s definition of “good’ is only that writing that they admire there is not much point in discussion. Overall I think it is ludicrous to identify that any individual that writes books that millions read and enjoy is without writing skill/style or the suggestion that their success is based in the ease of reading and the dullness of the masses. The big sellers’ stories (and many big timers stories don’t appeal to me)are engaging and captivating for millions. Recognized or not they have the gift of storytelling. I believe that includes ‘style’ no matter how defined. And no one is ever going to accuse McDonald’s of being a bistro. But, ya know what? Some days I just want a QP and cheese. Same with Dan Brown. The man can spin a yarn and I will forgive him (some, okay, most) of his clunkers. And if you are going to be a hack, you might as well be a hack with eleventy-billion books in print. I loved DVC, and most of Angels & Demons (the ending was excruciating to wade through) and will definitely read the new one. Brown tags into one of my fav tropes, the biblical/political/templar/masonic conspiracy theory. I can’t get enough. I always get a kick out of the articles that bash Brown or call Stephen King a hack, because it’s an excellent reminder of why writers need thick skin… and I’m sure those two (and many others) don’t feel the sting of the critics when they look at their bank accounts. Personally, I don’t believe style is such a big deal if the story is good, but there are exceptions. Like PJ Parrish said in an earlier comment, it becomes an issue when a writer can’t get out of the way of the story. It’s like the M.Night Shyamalan movies. I used to love his films because of the twist that made the stories unique. Unfortunately, he became convinced every single story needed an earth-shattering twist and ruined a few films that could’ve been really good. I don’t watch his stuff anymore. An author can turn into their own worst enemy when they try to impress others will how clever they are. Best to just write the story and let your style flow naturally. I think that, assuming that the writing craft has been addressed decently, it comes down to readers wanting a great story they are compelled to follow to the ending (and which has a satisfying ending) and character they are able to bond with internally in some way. If you can deliver this repeatedly, and you’ve got a strong grasp of English usage, you’ll have your readers. Let me see. Brown, Patterson, King, Grisham are all hacks. So say the intelligencia. I always detect a small note of jealousy in those critiques. For me, Mr. Brown’s books commit the major sin of writing. They bore me. And don’t get me started on the movies. Tom Hanks, really, they might as well have put Tom Cruise in the part. (Subtle shot at Jack Reacher). In college I did a paper on 2001 A Space Odyssey. The Time Magazine critic, Richard Schekel, wrote a number of essays over time about the movie. His first declared the movie a jumbled mess. He changed over time and ended up by proclaiming it one of the most visionary films of all time. Maybe Mr. Brown’s books, like fine wine, just needs some time. Maybe I’ll try the new one. I read Dan Brown for plot than style. Ultimately I gauge popular novels for their entertainment value, not their stylistic quality! I agree. So what. 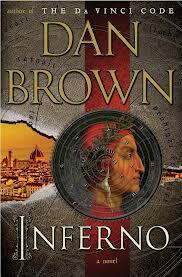 I happen to like Dan Brown’s books. I find his stories to be so compelling that I don’t even see the repetition or style problems. And THAT’S what makes a good storyteller. I think the “what” to consider is longevity and staying power. Yes, for the masses, Dan Brown is yummy summer reading. This will translate into dollars for him. If that is the goal, then yay. Yes I have a copy of The Davinci Code on my shelf; it was a gift. But there is not money on earth enough that would make me reread the Lost Symbol. And because of that I can wait quite patiently for any film rendition of his newest novel. His style will turn some people off, but as long as he keeps telling stories people want to hear, his bank account won’t suffer.